Jack Sarfatti has been exploring a generalisation of David Bohm’s ontological interpretation of quantum mechanics, extended so a particle is not just guided by the quantum potential, but, in turn, through backactivity, modifies the quantum potential field. Backactivity introduces nonlinearity into the evolution of the wave function, much like the bidirectional nonlinear interaction of spacetime and matter-energy in general relativity. 1. Life in general, and consciousness in particular, depends upon a backactivity-mediated feedback loop operating on macroscopic quantum structures in the cell. Roger Penrose and Stuart Hameroff have suggested the microtubule as the site of this quantum system, but it may be elsewhere. Life, through homeostasis, maintains the far-from-equilibrium quantum machinery necessary for its own existence. Rocks aren’t alive because they have no structures which prevent thermal decoherence of the wave function. There is, then, an élan vital, and it consists of backactivity operating in macromolecular quantum systems assembled within the cell. 2. Backactivity is the missing puzzle-piece needed to unify quantum mechanics and general relativity. Linear quantum mechanics operating in a background spacetime cannot possibly describe the effects of spacetime curvature due to mass-energy or curvature acting on itself. Macroscopic quantum systems employing backactivity may produce strong spacetime curvature or interactions with the zero-point vacuum energy not predicted by orthodox quantum mechanics or general relativity. Per item (1) above, a “macroscopic quantum system employing backactivity” is, necessarily, alive. Faster-than-light travel with an Alcubierre-like “warp drive” without the need for exotic, negative energy, matter. Access to the zero-point energy of the vacuum. If Haisch, Rueda, and Puthoff’s suggestion that interaction with the zero-point energy is the source of inertia (as opposed to the Mach/Einstein view that it is caused by the dragging of inertial frames by distant galaxies), then technologies employing backactivity might be able to modify inertia. I don’t know whether these suggestions are correct—nobody does at present, but there’s nothing in any of them which seems inaccessible to experiment in the relatively near future. Let’s assume calculations are done, predictions are made, experiments are performed, and the experimenters win the Nobel prize, shafting the theorists once again—that backactivity is shown to exist and indeed both accounts for life and permits the unification of quantum mechanics and general relativity. So given that, how far does a little deduction get us in answering some of the most puzzling aspects of the UFO phenomenon? Pretty far. I’ll explore the issue in a question and answer format, addressing a number of the enigmas posed by the body of UFO reports amassed over the decades. Why do people report such a bewildering variety of objects? Because they’re living, space-dwelling creatures. Consider the range of creatures which inhabit the Earth’s oceans. The ocean of space is immeasurably more vast and deeper than any planetary ocean. By using macroscopic coherent quantum systems and backactivity to extract energy from the vacuum and manipulate spacetime to travel faster than light without violating special or general relativity. Mating and/or spawning: they are amphibious. Having evolved from originally planet-bound life, they need the environment of the Earth (matter / gravitational field / etc.) to reproduce, just as toads and other amphibians must return to the water to bear their young. Why do so many reports involve multiple objects, changing shapes, objects merging and splitting, and large objects emitting a number of small ones, often different in appearance? That doesn’t sound like a spaceship to me. Indeed it doesn’t. But it sounds precisely like the courtship, mating, and reproduction behaviour observed in a multitude of terrestrial species. Many species have one or more juvenile forms with different morphology than the adult. Why do their actions appear so pointless and seemingly random? Because they (or the vast majority of them) aren’t intelligent. Hermit crabs, starfish, and sea urchins don’t show much evidence for intelligence either as they go about their business making little crabs, starfish, and sea urchins. Why do so many reports come from lone observers in places like Hogwallow, Alabama at 3 A.M., as opposed to, say, above the Transamerica Pyramid during the San Francisco evening commute? Because, like many terrestrial species, they prefer secluded surroundings to mate and bear their young. Ten or twenty F-16 interceptors buzzing around can get anybody out of the mood. Besides, large cities cover a minuscule fraction of the Earth’s surface, so even if the objects appear totally at random, most will still be in isolated regions. How do they perform those impossible maneuvers? Wouldn’t any physical object be torn apart by such accelerations? What with thousands of well-documented reports by highly credible witnesses of intrusion into airspace in countries around the globe, how can their respective Air Forces be uninterested in the phenomenon? Statements on the UFO phenomenon by the military in Canada, Britain, the United States, Australia, and a number of other countries have indicated that “investigation has discovered no evidence that UFOs pose any potential threat to national security”. An interesting turn of phrase, that. The navies of these countries do not occupy themselves investigating sightings of dolphins, seals, and tuna intruding into their territorial waters, either. Why? Because those ocean lifeforms equally pose no threat to national security. Then if governments have learned enough about UFOs to determine they pose no threat, why has the information been withheld from the general public? Because propellant free, faster than light, vacuum energy powered travel, and control over inertia would each, by itself, be a discovery with strategic implications dwarfing anything in the modern era. Research would, then, be conducted in secret precisely as nuclear weapons research has been. The research projects have gotten nowhere because, (1) The creatures may die if they don’t return to their natural vacuum environment (for example, the vacuum energy release may not work in the Earth’s gravitational field, so they have to operate on reserves [“energy fat”] while procreating). Once the animal dies, its mechanisms decohere and cease to function. and/or (2) Without a theoretical understanding of post-quantum backactivity and its consequences, understanding how the energy production and propulsion operate is as hopeless as trying to understand the mechanisms of terrestrial life without any knowledge of chemistry. Thus, research projects are conducted in the strictest secrecy, but since little or no progress is being made in understanding the underlying theory, they are restricted to taxonomy and gross anatomy, resulting in a very small project which is more likely to remain secret over a long period of time. Maxwell’s Silicon Hammer. Sherman, set the WABAC machine to the year 1865, destination Aberdeen, Scotland. Today we’re going to visit the physicist James Clerk Maxwell, who in 1864 published his famous equations upon which all of classical electrodynamics is founded. We’ll present Professor Maxwell with a gift both to thank him for his legacy to our century and to help him in his work: a simple four-function present-day pocket calculator. In case he should be inclined to figure out how it works, or worry about it breaking, we’ll give him a bag of a hundred more, still in the blister pack. 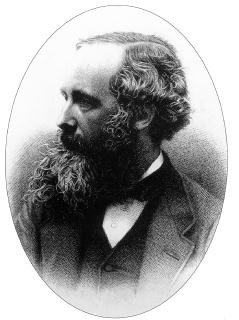 Maxwell would instantly understand the operation of the calculator, but even if he devoted his formidable intellect and the effort of all his students at Marischal College and later at the Cavendish Laboratory at Cambridge for the rest of his life trying to figure out how it worked, he would die in 1879 having made little genuine progress. He would rapidly identify the microprocessor as the site where the unexplained phenomena were going on. Extracting the silicon chip from its epoxy potting and examining it under a microscope, its mix of regular and tangled structure would suggest it operated in a manner similar to Babbage’s proposed calculating engines, and detailed microscopic examination would reveal components corresponding to Babbage’s Mill, Store, and Barrel. Chemical analysis of the chip would reveal it to have a substrate of silicon, purer than any produced in contemporary laboratories, with structure near the surface composed of similarly ultra-pure aluminium, tungsten, and silicon oxides. Mid-nineteenth century chemical analysis would fail to detect the dopant substances in the silicon which formed the active components. Even if they were detected, their function would be a mystery, as understanding the quantum behaviour of electrons in solids would first require the elaboration of quantum mechanics, which would not happen until the 1920s. Any attempt to build such a device would fail because contemporary materials technology could not grow silicon crystals free of defects at the millimetre scale—in other words, a macroscopic object exhibiting spatial coherence. Nor, without quantum mechanics, would be there any reason to suspect a flawless crystal was necessary. No amount of reverse engineering these Unexplainable Calculating Objects would get anywhere until the quantum theory which explains how their components function was elaborated. Analysis of material recovered from UFOs, if in fact such exists, may similarly require a post-quantum theory to understand its operation. 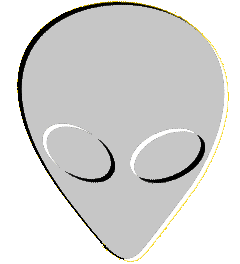 What about all these reports of dinky grey aliens, abductions, and the like? Sperm whales don’t go around abducting people and performing medical experiments on them! Don’t forget Jonah! But seriously, if you lend credence to the UFO occupant and abduction reports, isn’t it possible the aliens are passengers on rather than builders of the craft? For most of history, humans have relied upon a variety of not-terribly-intelligent animals for transportation, taking what was found in nature and adapting it to the task by selective breeding and crude technology (the wheel and horse collar, for instance). Since the effects harnessed by UFOs can only be produced by living organisms, why bother constructing an artificial life mechanism when you can simply breed existing creatures for appropriate characteristics (like a horse—big enough to pull the load and dumb enough to obey your orders)? It’s also possible the inhabitants do not understand how the creatures operate: you don’t have to understand how a horse works, no less how to build one, in order to saddle up and ride. This creates a testable proposition: one should observe less variety among the craft reported in occupant and abduction cases than that seen in the body of UFO reports as a whole. Only a few species have been domesticated by humans for transportation as opposed to the variety of all forms of life on Earth. If these creatures are coming and going hither and yon all the time, why haven’t our space probes detected them? As I wrote this document in 1997, a vigourous and contentious debate was underway among astronomers and atmospheric scientists as to whether multitudes of house-sized snowball comets impact the Earth every day, depositing water vapour in the upper atmosphere. Satellite evidence and recent measurements of water in the upper atmosphere suggest they do, yet the absence of impacts recorded by seismometers placed on the Moon by Apollo astronauts argue otherwise. No matter how you look at it, something the size of a house slamming into the upper atmosphere at dozens of kilometres a second is a far less subtle event than the occasional mating set of space animals gently descending into the atmosphere to conceive and bear their progeny. We design our sensors to detect phenomena we expect to observe: nobody imagined there were such things as gamma ray bursts before they were discovered by Vela satellites built to detect nuclear explosions. Perhaps theoretical investigation of the electromagnetic consequences of backactivity might suggest a detectable signature which sensors could be designed to detect. How did life get started on Earth so soon after the end of the accretion of the planet, shortly after the last ocean-vapourising impact? Life did not originate on the Earth. As suggested by Crick, Orgel[6,7], Hoyle, Wickramsinghe, and many others, life originated elsewhere in the universe in a very different and simpler form than we observe on Earth. The form of life we see on Earth is the product of evolution from, or deliberate design by, a precursor lifeform (or sequence of forms) with a drastically lower irreducible complexity than terrestrial life. Prokaryotic life arrived on Earth shortly after its atmosphere became suitable for UFO animal reproduction, introduced by endosymbionts. (In other words, E. coli in saucer turds.) Note that this accomplishes the same diffusion of life throughout the universe as suggested by Crick and Orgel in “Directed Panspermia” without requiring a deliberate program conducted by an intelligent species. A testable prediction of this is that all evidence of life found beyond the Earth, whether in SNCs from Mars, carbonaceous chondrite meteorites, type C asteroids, comets, or interstellar granules, will have identical low-level molecular structure, even where that structure is arbitrary from the chemical standpoint. Why did it take so long to evolve eukaryotic cells, and how did the Cambrian explosion manage to invent every current body plan and component in just an instant of geological time? Biochemical life is a highly effective mechanism for reliably transmitting information and recombining variants among a set of options into new, unique phenotypes. It’s not at all clear how, given the limited arena of a single planetary biosphere, one can generate sufficient new information to explain the diversity one observes among species on Earth. Broadening the arena from the Earth to the Universe may provide sufficient additional orders of magnitude to render the apparently implausible effectively inevitable. The most common form of life, prokaryotic cells, were seeded on Earth shortly after it solidified, and prospered. Only after they and their progeny had transformed the biosphere from a reducing to an oxidising environment could introduction of an advanced cell trigger the explosion of diversity apparent in the fossil record. Viewed at the molecular level, even the simplest forms of life on Earth seem impossible to have been the products of spontaneous self-assembly through random chemical reactions. How can this apparent evidence for design in the low-level biochemical architecture of life be reconciled with its origin from random physical processes? When pondering questions of Origins, we should feel free to entertain the possibility of creation without invoking a Creator. Dyson, Tipler, Moravec, and others have suggested that human life may eventually design (create) its successor, adapted to life in a universe to which our biochemistry is unsuited, or simply better, by design, than our product-of-evolution selves. If we’re willing to consider the possibility of descendants we create, able to live in an eternally expanding universe or flourishing at Planck-time intervals before the Big Crunch, why not ancestors? Why be so arrogant as to presume we are the first in the chain of creation? Might a pan-universal civilisation, before inflation blew the universe into discrete, slowly-merging horizon bubbles, have planted the seeds which would, tens of millions of years later, launched carbon-based biological life on its journey toward present-day complexity? This has testable consequences: if our brains were the product of a microprocessor designer, we should be able, by reverse engineering, to discern the stylistic idioms of that designer, much as one observes when comparing Motorola and Intel microprocessors. If our biochemistry were designed, we should see the same kind of evidence for design in the genomes of terrestrial life, if not an explicit signature as envisaged in my science fiction story, “We’ll Return, After this Message”, then more subtle clues apparent from analysing an ensemble of genomes to determine the characteristics of the common ancestor. As all regions below are replenished with living creatures, (not only the Earth with Beasts, and Sea with Fishes and the air with Fowls and Insects, but also standing waters, vineger, the bodies and blood of Animals and other juices with innumerable living creatures too small to be seen without the help of magnifying glasses) so may the heavens above be replenished with beings whose nature we do not understand. He that shall well consider the strange and wonderful nature of life and the frame of Animals, will think nothing beyond the possibility of nature, nothing too hard for the omnipotent power of God. And as the Planets remain in their orbs, so may any other bodies subsist at any distance from the earth, and much more may beings, who have a sufficient power of self motion, move whether they will, place themselves where they will, and continue in any regions of the heavens whatever, there to enjoy the society of one another, and by their messengers or Angels to rule the earth and convers with the remotest regions. Thus may the whole heavens or any part thereof whatever be the habitation of the Blessed, and at the same time the earth be subject to their dominion. And to have thus the liberty and dominion of the whole heavens and the choice of the happiest places for abode seems a greater happiness then to be confined to any one place whatever. — Isaac Newton, unpublished manuscript, quoted in Frank E. Manuel’s The Religion of Isaac Newton. Alcubierre, M. “The Warp Drive: Hyper-fast Travel within General Relativity”. Classical and Quantum Gravity 11, L73 (1994). Barrow, John D., and Frank J. Tipler. The Anthropic Cosmological Principle. Oxford: Oxford University Press, 1988. ISBN 978-0-19-282147-8. Behe, Michael J. Darwin’s Black Box. New York: The Free Press, 1996. ISBN 978-0-684-82754-4. Bohm, D. and B.J. Hiley. The Undivided Universe. London: Routledge, 1993. ISBN 978-0-415-12185-9. Bryan, C.D.B. Close Encounters of the Fourth Kind: Alien Abduction, UFOs, and the Conference at M.I.T. New York: Knopf, 1995. ISBN 978-0-679-42975-3. Crick, F.H.C. Life Itself. New York: Simon and Schuster, 1981. ISBN 978-0-671-25563-3. Crick, F.H.C, and L.E. Orgel. “Directed Panspermia”. Icarus 19, 344 (1973). Dyson, Freeman. “Time without End: Physics and Biology in an Open Universe”. Reviews of Modern Physics 51, 447 (1979). Dyson, Freeman. Infinite in All Directions. New York: Harper & Row, 1988. ISBN 978-0-06-039081-5. Good, Timothy. Above Top Secret. New York: Morrow, 1988. ISBN 0-688-09202-0. Haisch, B., A. Rueda, and H.E. Puthoff. “Inertia as a Zero-Point Field Lorentz Force”. Physical Review A 49, 678 (1994). Hoyle, Sir Fred, and Chandra Wickramsinghe. Evolution from Space. New York: Simon & Schuster, 1981. ISBN 978-0-671-49263-2. Manuel, Frank E. The Religion of Isaac Newton. Oxford: Clarendon Press, 1974. ISBN 978-0-19-826640-2. Moravec, Hans. Mind Children. Cambridge, Massachusetts: Harvard University Press, 1988. ISBN 978-0-674-57618-6. Penrose, Roger. Shadows of the Mind. Oxford: Oxford University Press, 1994. ISBN 978-0-19-853978-10. Tipler, Frank J. The Physics of Immortality. New York: Doubleday, 1994. ISBN 978-0-385-46798-8. This essay was originally published on my fourmilab.ch Web site in August of 1997. It was subsequently cited by Whitley Strieber in his 1998 book, Confirmation. At the time of its original publication, the “small snowball comet” hypothesis was a matter of active controversy. Since then, the preponderance of evidence seems to suggest that they do not exist, at least in the quantity suggested then. I have rewritten the paragraph which mentions them to reflect that it refers to a controversy of that epoch. This new paper seems relevant at some level: A Cloaking Device for Transiting Planets. I had forgotten about the small comets hypothesis. I was a grad student at the Space Telescope Science Institute in the late 1990s, and one of these fellows gave an invited talk there. It might have been Louis Frank, but I don’t remember for sure. It’s one of those odd ideas that intrigues me, even when they turn out not to exist. I am lost at the “backaction”. What is that? Are your this is not an April Fool’s Joke? Bryan G. Stephens: I am lost at the “backaction”. What is that? In the de Broglie-Bohm interpretation of quantum mechanics, the wave function is interpreted as a “pilot wave” which guides the motion of particles through the space it fills. The wave function tells the particles how to move, but the particles do not act back upon the wave function. This preserves the linearity of the theory and makes it agree (for nonrelativistic cases) with other interpretations of quantum mechanics. Backaction is the hypothesis that particles do interact back on the wave function, just as matter in motion interacts back with the gravitational field in general relativity, rendering it nonlinear. The speculative hypothesis upon which this essay is based is that quantum phenomena and backaction in particular are fundamental for life. John Walker: Why do so many reports come from lone observers in places like Hogwallow, Alabama at 3 A.M., as opposed to, say, above the Transamerica Pyramid during the San Francisco evening commute? The Transamerica Pyramid is too far away from the nearest nexus of extraterrestrial activity. This latest bout of epistemic calisthenics has me breathless. Once again, I am reminded how fortunate we are to have our own candidate, here on Ricochet, for “The Last Man Who Knew Everything.” This, like many of John Walker’s inspiring offerings, takes me beyond the limits of my own ability to conceptualize reality – particularly human ontology. I am glad, nonetheless to try the exercise. I cannot help but believe that obsessive curiosity about, and compulsive need to create life, is – in some dimension – a fundamental property of the universe. John Walker: I don’t know whether these suggestions are correct—nobody does at present, but there’s nothing in any of them which seems inaccessible to experiment in the relatively near future. That was written 9 years ago. Have any such experiments been undertaken? With what results? civil westman: I cannot help but believe that obsessive curiosity about, and compulsive need to create life, is – in some dimension – a fundamental property of the universe. I phrase this as “the universe just wants to live”. We may actually find evidence of this in the next couple of decades. If we discover life, even if pond-scum single-cell organisms, on Mars, Europa, Enceladus, Titan, or elsewhere, and they prove to be a “second genesis” (unrelated chemically to terrestrial life), then the evidence will be strong that the geological and chemical processes in the universe produce life wherever it can exist. This would mean that there may be billions of other life-bearing planets in our own galaxy, not to speak of other galaxies or more exotic places where life can thrive. We may also discover evidence of atmospheres of planets around distant stars which contain molecules which can only plausibly be produced by life. This would almost certainly be due to a “second genesis”. There is a huge difference between one and two. If something happens once, and you’re it, it doesn’t tell you anything about how common it is. If it didn’t happen, you wouldn’t be here to observe it. But if it happened twice, independently, and there are billions of other places where it could have happened, the way to bet is that it is commonplace. That is an interesting galaxy, and universe, to inhabit. It does occur to me that your description of Maxwell encountering the calculator pretty accurately describes our current situation regarding biological life. The recent attempt to create synthetic DNA illustrates that there is much going on about which we have no clue. John Walker: …Per item (1) above, a “macroscopic quantum system employing backactivity” is, necessarily, alive…. Doesn’t this also apply as a validation of the Gaia hypothesis? I think it’s totally fair that experimenters get the prize, not the theorists. Theorists come up with all sorts of wacky ideas, and no one’s stopping them from validating their own theories. That’s redundant. Fat is reserve energy. Life did not originate on the Earth. This is the “turtles all the way down” argument, don’t you think? Just pushing things back a level? Why be so arrogant as to presume we are the first in the chain of creation? Lack of evidence? I think presuming there are precursor organisms goes against Occam’s Razor until we see some evidence of life off Earth. Does anybody know what the hell John just said? Nonetheless, experiments which test the linearity of quantum theory (either directly or indirectly) have been done since the 1980s, and they continue to be run. If there’s something there, it will eventually be found. Great progress has been made in the last decade in testing quantum theory on larger scales than subatomic particles (for example Bose-Einstein condensates). This is where these new effects are likely to be seen, if they exist. As to experiments with captured space animals, if I told you…. Can’t answer that. But I’ve got another Hogwallow story. It was the 3C highway south of Mount Vernon. My OSU freshman in medical school finance was headed back to Columbus after spending the weekend with me and my parents. It was 1965. We didn’t drink or smoke. He was a serious student and was one of four inductees into AOA his junior year. That’s out of 175 students. I mention this to establish his serious nature. He remained reluctant through the years to discuss what happened that evening. It was October. Yes, it was midnight, and yes, in a rural area. His behavior on that evening was completely contrary to his conservative, cautious nature. Here’s what happened: He saw a light out over a field. It gave him a warm feeling. He thought it might be a farmer working late into the evening, The light moved toward him and then above the car. This is where those of us who know him, stared gap-jawed when he recounted it. He stopped the car and got out. He looked up. He was bathed in light, but not a sound. There were other events back then. Tuck:It does occur to me that your description of Maxwell encountering the calculator pretty accurately describes our current situation regarding biological life. The recent attempt to create synthetic DNA illustrates that there is much going on about which we have no clue. But, perhaps, more importantly, give us a few decades and we may puzzle it out. I’m sure that if on our fictional visit with Maxwell we’d included a 1960s text about the behaviour of electrons in solids and an introductory text about quantum mechanics, he’d have understood it perfectly, while still not having access to the fabrication technologies to make the silicon substrate or the microprocessor. I would consider evidence for backactivity being required for life as falsifying the Gaia hypothesis, since there is no evidence that the Earth, as a whole, has coherent quantum systems such as Hameroff and Penrose suggest exist within the microtubule. This doesn’t mean that planets don’t have large-scale negative feedback systems which regulate their climate over a long term (which can be as obvious as when the Earth heats up, the sky becomes more cloudy, which reflects more sunlight, which cools down the Earth), but that this is a process like many in nature which doesn’t involve what we consider life or consciousness. There are people I respect who argue in favour of panpsychism, but I don’t believe they have proved their case. But when the theorists predict something that nobody expected at the time would be discovered, and it was subsequently found right where they said it would be, they deserve the prize and sometime they win it. Examples are Murray Gell-Mann, Frank Wilczek, and Peter Higgs. Fat serves other functions. Your brain would not work without myelin, which is mostly fat. If you have a very improbable event, broadening the arena in which it may have occurred makes it more probable. If life could have originated, not just on Earth, but on hundreds of billions of other planets in the galaxy, plus interstellar molecular clouds, icy bodies distant from stars, and spread over billions of years, a chance genesis event becomes much more probable. But I don’t believe our current form of life emerged spontaneously; I think it was designed, which I’ll discuss in the next answer. I agree. But if and when we find such organisms, there will be a profound piece of evidence for a precursor from them. If they all seem to have a common ancestor (as appears to be the case for terrestrial life), then that will be powerful evidence for a common precursor (since the only other argument will be that this particular chemical form is the only one that works, and there’s little reason to believe this). Since our present carbon-based form of life seems implausible in the extreme to have assembled spontaneously, I believe the most plausible explanation without resort to supernatural intervention is that it was designed by a form of life which existed when the universe was hotter and denser, to carry on the torch of life when its epoch ended. This earlier form of life (and there’s no reason to believe it was the first, just a link in the eternal chain) may still exist in high-energy environments in the universe. What does the Sun think about? And what about the black holes at the centres of galaxies? I’m not going to diff that to this, but please tell us if there’s anything significant that’s changed since then? Trink:He saw a light out over a field. It gave him a warm feeling. He thought it might be a farmer working late into the evening, The light moved toward him and then above the car. This is where those of us who know him, stared gap-jawed when he recounted it. He stopped the car and got out. He looked up. He was bathed in light, but not a sound. This is more common than people admit, because recounting such stories puts a distance between the observer and those to whom they’re talking. At least it seems he didn’t experience missing time. That’s what often triggers the nightmares. Getting the heck out of there is the wisest choice in such circumstances. John Walker: …I would consider evidence for backactivity being required for life as falsifying the Gaia hypothesis, since there is no evidence that the Earth, as a whole, has coherent quantum systems such as Hameroff and Penrose suggest exist within the microtubule…. If you have a very improbable event, broadening the arena in which it may have occurred makes it more probable. Sure, but it doesn’t offer any explanatory power. We’re still no better off than we were when they wrote Genesis, in a fundamental sense regarding the knowledge of how we came to be. Too many embedded guesses and assumptions there, I think. I’ve often though that one day the scientists will find something like God (c) written on a particle or a cosmic structure, so I chuckled when I read your post on that note. You have linked to an unauthorised republication of my original document on another site. I place most of my work in the public domain; this means others are free to republish it as they wish. This site did so, with attribution, with a link back to my original site. Are you accusing me of plagiarism because my original work was copied and published, without my permission, by another Web site? The final paragraph of my post described the publication history of this document, including its original publication on August 31st, 1997 on my Web site. If you require original content of this magnitude every week, not previously published, I suggest you seek another science columnist. No, no, no! I just am used to excellent posts from you, assumed they were generally new, and scrolled past the footnotes and missed your publication note. I almost asked in my comment above if there was a blizzard in Switzerland and did this explain how you found the time to write this since last Saturday. I was simply teasing you, as I was surprised to see, when I googled “microtubules backactivity”, this same article on another site, having missed your note. …If you require original content of this magnitude every week, not previously published, I suggest you seek another science columnist…. I’m happy with any crumbs you elect to throw our way. As always, keep up the good work, even if it’s sharing older work that you think would be interesting to us. It’s indeed very interesting, and I’m grateful you did elect to share it with us. And my apologies for any offense, it was entirely unintentional on my part and clearly my fault for not reading the entire OP. I don’t know John, they thought Beowulf Shaeffer was silly when he suggested giant space-dwelling beasts. Judge Mental:I don’t know John, they thought Beowulf Shaeffer was silly when he suggested giant space-dwelling beasts. He’d seen them, but people don’t want to be frightened. They don’t even speak the names of those who wish them dead. And don’t forget the Black Cloud. P: You always seem to cut through all the clutter in confusing issues and nail it! 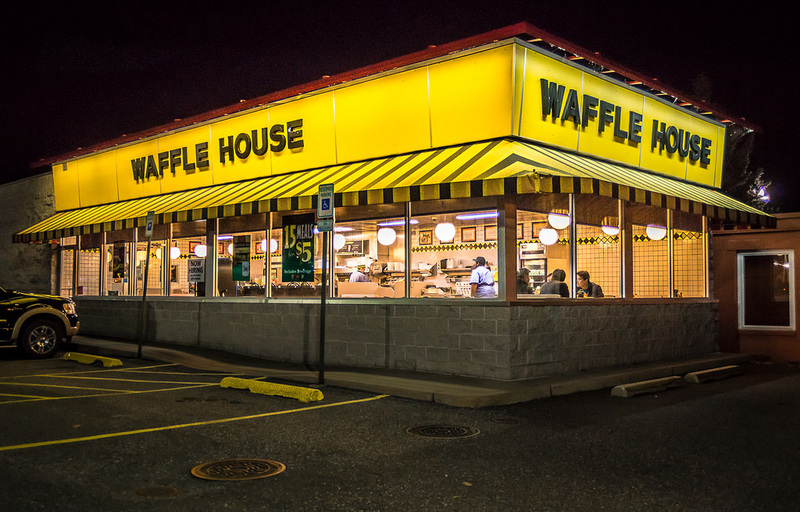 Thanks for confirming — at least for me — that Waffle Houses are actually the fronts of terminal stations . (See Clifford D. Simak’s Way Station.) As with Enoch Wallace’s house, they are indestructible and yet seem innocent and commonplace. Larry Koler: P: You always seem to cut through all the clutter in confusing issues and nail it! Thanks for confirming — at least for me — that Waffle Houses are actually the fronts of terminal stations . (See Clifford D. Simak’s Way Station.) As with Enoch Wallace’s house, they are indestructible and yet seem innocent and commonplace. Aliens: Guess somebody picked the wrong diner! John Walker: …Life in general, and consciousness in particular, depends upon a backactivity-mediated feedback loop operating on macroscopic quantum structures in the cell. Roger Penrose and Stuart Hameroff have suggested the microtubule as the site of this quantum system, but it may be elsewhere…. Well, my brain hurts a little, but I have to ask: is part of this article saying, that some unexplained lights in the sky at night might be astro-organisms using our atmosphere for mating purposes? Just say “yes” for yes or “no” for no. Or are you using that for a metaphor, meaning UFO phenomena are unknowable with today’s scientific tools, but when we eventually advance our technology, they’ll be so knowable that we’ll be able to pay $9.95 to name a UFO after our sweetheart for Valentine’s Day? A side-question: do people ever experience UFOs in the daytime? John Walker: …But, perhaps, more importantly, give us a few decades and we may puzzle it out…. I think that’s an underestimation. The more we learn about biology, the more we seem to learn about how much more there is to learn. RDAs were first determined during WWII for the Army, yet we’re still arguing about what, exactly, is a healthy human diet. And poor diet is the single biggest health issue in the military. Pencilvania: Well, my brain hurts a little, but I have to ask: is part of this article saying, that some unexplained lights in the sky at night might be astro-organisms using our atmosphere for mating purposes? Just say “yes” for yes or “no” for no. I’m saying “yes”, as that’s what I’m proposing here. Frequently. Many encounters are at night, but many are also in broad daylight. There are tens of thousands of reports, and you have to go through lots of them to begin to see the patterns. Where is Art Bell when you need him? Muleskinner: Where is Art Bell when you need him? Cowering in a trailer in Parumph. I don’t think he’s ever been the same since the government took down his satellite feed as the guy from Area 51 was spilling the beans.